We have recently welcomed a new client who is both deaf and blind. This challenging case is the first of its kind for DDP, and possibly for any project in Cambodia. 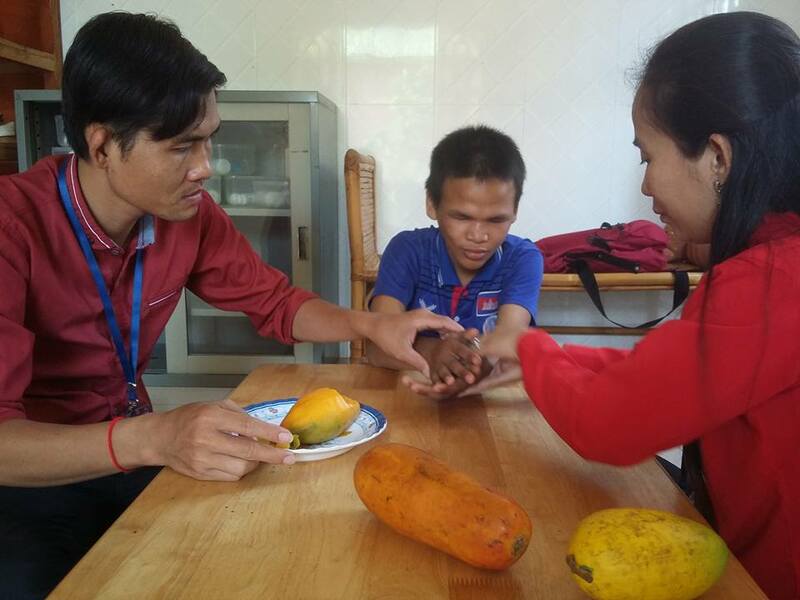 In the above photo, our teachers are forming his hands into the sign for “mango”, after having had him hold and smell a mango.